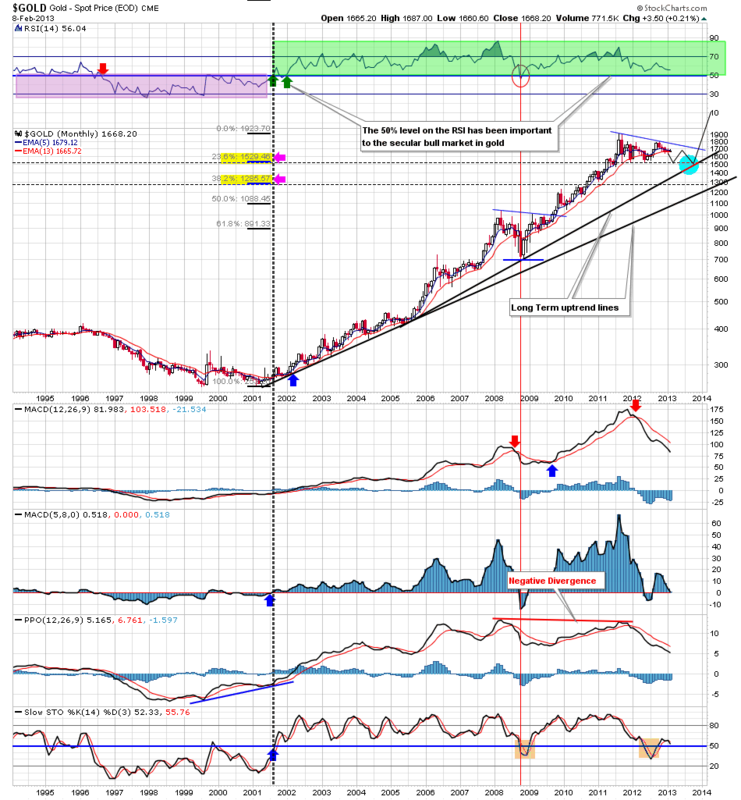 $GOLD - Chart Link - and of course you really don't want to see the 14 RSI have a confirmed close below the 50% level on the monthly. 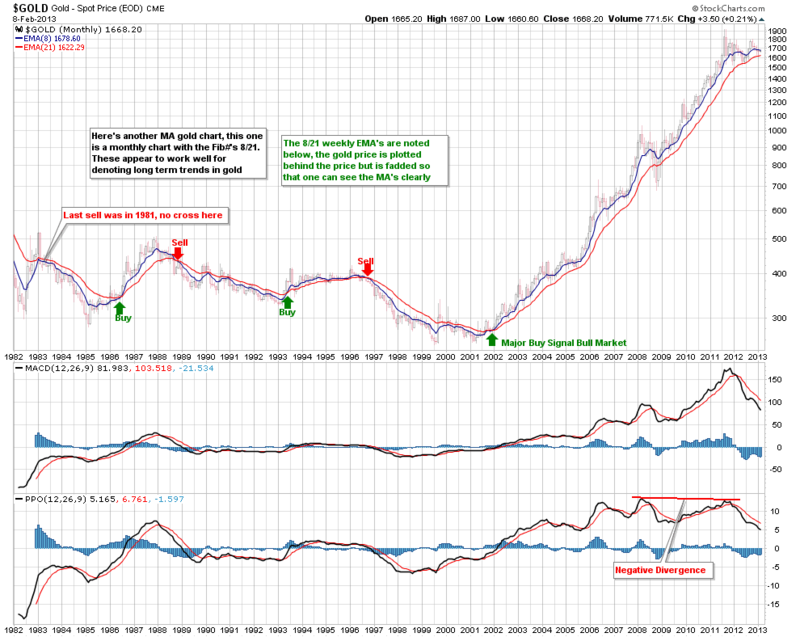 Steve and I try to be objective about Gold and we will tell if it's bearish or we think it's going down. One problem that I have with 'Gold Bugs' is that they always think gold is going up no matter what, and when goes is not going up, it's a conspiracy! The world banks are shorting it, and holding it back etc etc. It's like come on guys, we cannot quantify that, you cannot get buy and sell signals from that data - that's why I focus on the charts, the charts do not lie. There will be a day to sell gold - it's secular bull will not last forever. Personally I still think it has one more up cycle in it's secular bull - but I could be wrong and of course one day it will end.